The CoffeeShop Blog: CoffeeShop Facebook Timeline Cover 2! CoffeeShop Facebook Timeline Cover 2! I had so much fun designing the Facebook Timeline Cover 1, I decided to post a Facebook Timeline Cover 2. This is the maximum size you can load to Facebook. You can also use this as a blog/website header or even a storyboard. Add your images using the clipping mask layers and add text to the middle piece of paper where it says "add text". 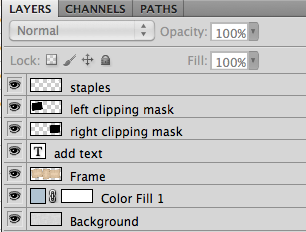 Change the background color by clicking on the Color Fill 1 layer or add your own background. Note: I used the Pea Marsha font for this ad. 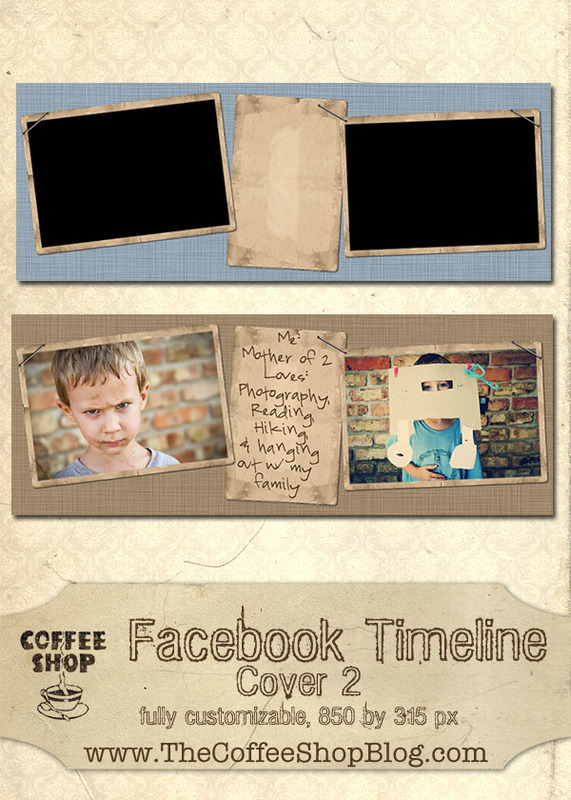 Download the free CoffeeShop Facebook Timeline Cover 2! You can also download it here. Thank you! I love the Timeline covers you have put together. Thank you, these will be a fun addition to facebook. thanks so much! you are the best! Thank you so much for this post. I want to let you know that I posted a link to your blog in CBH Digital Scrapbooking Freebies, under the Page 2 post on Dec. 28, 2011. Thanks again. Thank you for the timeline cover 2, can't wait to give it a try. Shelly again, I was successful at getting cover #1 to download finally :) trying again on #2... Thank you! Hello, just decided to "try" one of your fb timelines but I'm still really new to PS. How do you paste a photo into one of the frames? BTW: these are going to be super fun for fb users. Really excited to pass along your site, IF i can figure this out with some help? Rita!!! This is awesome thank you so much!!! The only issue I am having is the framing.... in past, with clipping masks I can clip the picture in and then the frame overlaps and covers the rest of the image .... it does not do that now and I'm struggling with having to erase little by little so that the image looks "professionally" in the clipping mask. Please advise!!! Lol.